You are going to Watch RWBY Volume 1 Episode 2 online free episodes with HQ / high quality. Stream cartoons RWBY Episode 2 Online Yang and Ruby arrive at Beacon Academy, but Yang quickly leaves Ruby alone to hang with friends. Ruby subsequently bumps into Weiss after knocking over some of her cases of Dust. Weiss starts scolding Ruby for this until Blake intervenes, noting Weiss is an heiress to a major energy company. Blake then criticizes the company’s practices, irking Weiss. Weiss leaves in frustration, while Blake casually walks away. 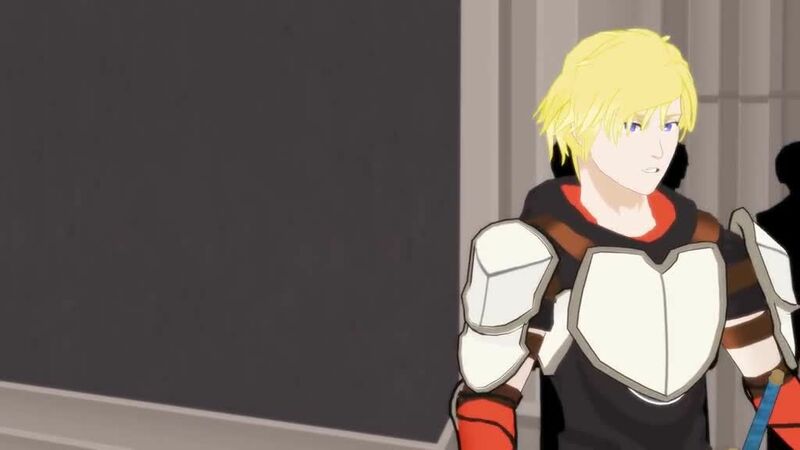 Alone again, Ruby then meets Jaune, who was throwing up on the airship in the previous episode. Together, they walk around the campus, showing each other their weapons, before realizing they don’t know where they need to go. Ruby arrives with Jaune at the opening assembly and meets up with Yang. As Ruby rants about Weiss, Weiss sees her and begins scolding Ruby again. Professor Ozpin gives a brief speech at the assembly, and Glynda announces their initiation will be tomorrow. That night, the new students gather together in the ballroom with their sleeping bags. Ruby is writing a letter to her friends at Signal and laments to Yang about her trouble making new friends at Beacon. Yang encourages Ruby to become friends with Blake. Initially more interested in reading, Blake connects with Ruby’s interest in books. Weiss walks up to complain about the noise and begins arguing with Ruby again before Blake blows out her candles to end it.